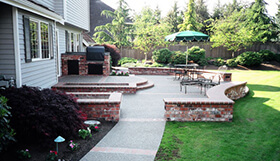 Quality concrete is durable and versatile. Concrete is a mixture of aggregates and paste. The aggregates are sand and gravel or crushed stone; the paste is water and portland cement. Other materials and chemicals may be included to help improve concrete performance. Color may be added to concrete and textured finishes can can add interest. 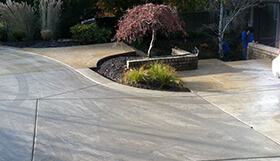 A textured finish can vary from a smooth polish to the roughness of gravel. 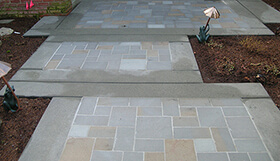 Geometric patterns can be scored, stamped, rolled, or inlaid into the concrete to resemble stone, brick or tile paving. 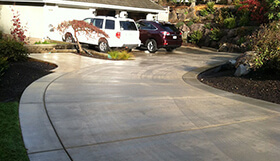 The durability and versatility of concrete makes it a popular choice. It is also low maintenance. At Custom Fence and Masonry, our attention to the details of planning, site preparation, quality materials and proper finishing makes concrete a worry free investment that will add considerable value to your home. 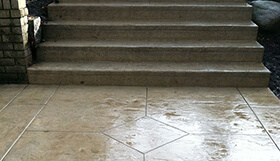 We are known by the company we keep, providing the highest quality materials and craftsmanship.